In the movie American History X Edward Norton plays a racist skinhead who goes to jail for killing two African-Americans who tried to rob his house. In prison the Norton character is assigned laundry duties with an African American. As a result, they form an interpersonal relationship and the Edward Norton character is transformed with an expanded view of humanity. Fresh out of prison he returns home to prevent his younger brother from making the same mistakes. How realistic is this? Is this really the way to reduce prejudice and diminish conflict between groups? Is it typical to have a pleasant interpersonal relationship with a member of another group and then have those positive feelings generalize to all members of the group? It turns out that this is pretty much how it works. It is not typically the case that cordial relations with particular individuals are limited to that context only. Below is sort of a straightforward summary of the research in this area known as the contact hypothesis. I offer it up here because I believe it is so important. In an earlier post I asked whether or not I was naïve about the power of communication. It turns out that I am not and the research strongly supports this. Intergroup contact does decrease intergroup bias. True, there are conditions in which intergroup contact can increase prejudice and hostility, but this is not very common especially if the contact experience is properly controlled. In their book, When Groups Meet: the Dynamics of Intergroup Contact, Pettigrew and Tropp organize and summarize the literature on contact. My comments below rely on the research reported in the Pettigrew and Tropp book and I highly recommend it to anyone interested in these issues. One of the first questions to answer is whether or not a quality individual interpersonal relationship with a member of an outgroup generalizes to the entire outgroup. In other words, if an Israeli Jew has a friendly relationship with a Palestinian Arab will that affect the Israeli Jew’s more general attitude about Palestinian Arabs as a group? This is an issue of levels of analysis, or whether or not contact effects transfer. It turns out that they do. Pettigrew and Tropp’s analysis provides strong evidence that positive contact with an individual member of an outgroup generalizes to the outgroup as a whole. Even more specifically, intergroup contact generalizes to an entire outgroup when that outgroup is a salient or particularly important category. The effects of contact are strongest when the participants are seen as typical members of the group and when membership in a group is important. So, if I am in a communicative relationship with a member of an outgroup and we are talking about issues that perhaps separate us because of our different group memberships, then our group identification has become particularly salient. Under these conditions I am more likely to generalize my experiences to a group beyond my immediate interpersonal relationship. The next question becomes how do situations affect my interpretations and relationships with others. This is a standard question in the social sciences. Does it matter if I have contact with an outgroup member at work, social event, or neighborhood? Pettigrew and Tropp’s rigorous meta-analysis confirms that attitude change resulting from contact in one situation generalizes to another. This is additional evidence that positive interactive relationships have positive effects beyond the original context situation. It explains why the racist Edward Norton character in the movie referenced above had a positive contact relationship with an African-American in one situation (the prison laundry room) and it both generalized to the entire outgroup of all African-Americans as well as other situations. A third generalization – referred to as the secondary transfer effect– involves whether contact with members of one outgroup will have any positive transference effects toward members of a different outgroup who were not involved in the original contact. An example of this would be a racist who has biases toward African-Americans has a positive contact experience with an African-American and generalizes that positive contact not only to African-Americans as a group, but to other groups such as Arabs. This secondary transfer, to a group not part of the original contact experience, is supported. What explains this? Although this effect seems unlikely it’s possible to pose several explanations and Pettigrew and Tropp do so. First, and briefly, there might be an expansiveness effect that encourages a more general reappraisal of attitudes. After positive contact experiences people simply become less provincial. Secondly, prejudices are interrelated with one another. 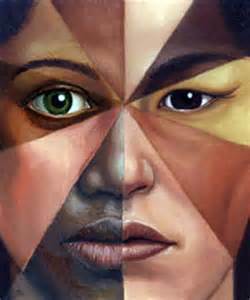 An individual who is prejudice against one group is likely to be prejudiced against others. Given these interconnections, altering attitudes in a positive direction toward one group will have similar effects toward another group. The evidence is strong that contact generalizes in important ways. I choose to think about this issue as a matter of communication, even though actual communication is rarely, if ever, studied by social psychologists examining intergroup relations. Contact implies some sort of message exchange whether it is simple or complex, otherwise there is no contact. We will return to these issues. Posted on May 1, 2011, in Communication and Conflict Resolution. Bookmark the permalink. Comments Off on The Power of Communicative Contact.